Taos High’s girls track team defended its state championship while the Tigers also rose to the top and won the AAA state championship this weekend (May 16-17) in Albuquerque. “For a long time we’ve wanted to achieve this goal and it finally happened,” senior Jonathon Córdova said. “It’s the best way to go out,” senior Nick Lemley said. The Lady Tigers won with 71 team points, followed by Sandia Prep (67) and Ruidoso (57). The Tigers won with 95, followed by St. Mike’s (69) and Silver (66.5). Taos also won four individual state championships and five relay titles in the meet. Isaac Gonzales won the long jump and the 200-meter dash. Midnight Lujan won the high jump and Roy Madrid won the 800. The Tigers also won three relays — the 4×200, the 4×400 and the medley — while the Lady Tigers defended their titles in both the 4×100 and 4×200 relays. The two teams didn’t place in everything they had hoped, but they managed to step on the podium 26 other times. “Our team has been struggling a bit so it was nice to do my job and hopefully set the tone so we can win the team state championship,” Madrid said after winning the 800 while his team trailed St. Mike’s. “Where we lost points, we made up for it in other areas,” Mondragon said. The Lady Tigers’ all-state performers include Mondragon (400, 200, 4×100, 4×200) Miranda Vigil (long jump, triple jump, 200, 4×100 and 4×200), Angelica Pacheco (100, 200, 4×100, 4×200), Brianna Vigil (4×100, 4×200), Hannah Gunther (1600, 3200), Elizabeth Reyes (1600, 3200), Cora Cannedy (3200), Lujan (high jump) and Alyssa Bozzuto (javelin). 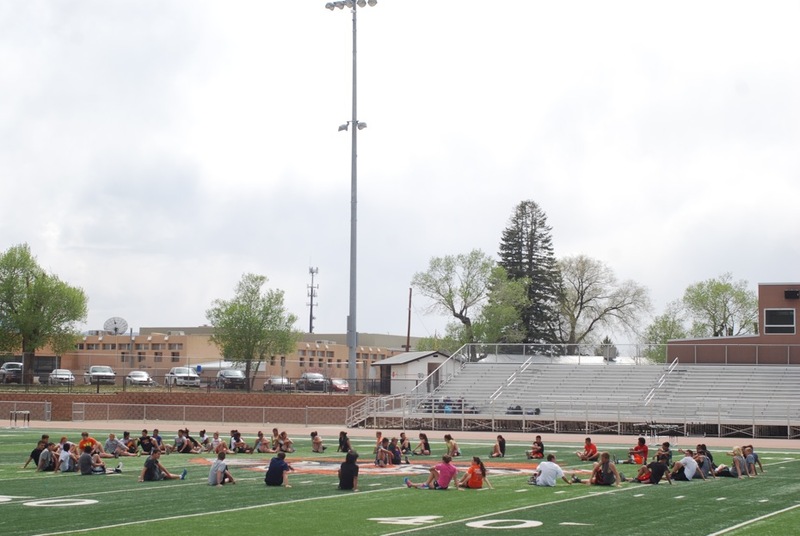 The Tigers, meanwhile, got points from Gonzales (200, long jump, triple jump, 4×400), Córdova (200, long jump, 4×100, 4×200, 4×400), Lemley (110-meter hurdles, 300 hurdles, medley, 4×400), Isaiah Babb (high jump), Madrid (800, 1600, 3200), Donevan Gravelle (1600, 3200), Jesse Weber (200, 400, 4×100, 4×200), Devin Ortega (4×100, 4×200, 4×400, medley), Jacob Pacheco (medley) and Lorenzo Rael (4×100, 4×200).